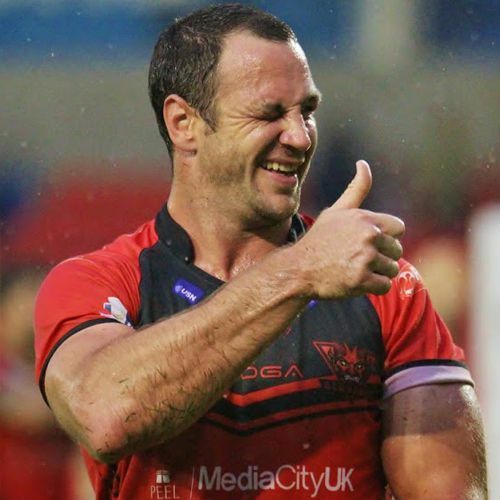 Salford Red Devils announce Rugby League Legends squad for Hybrid game. The Salford Red Devils have announced their Rugby Legends Squad to take on their Gloucester Rugby Union Counterparts in the upcoming Mitsubishi Motors Cup Charity Hybrid Game. The game will take place at Gloucester’s Kingsholm Stadium on the 9th October to raise money for Rugby League Cares and the Salford Red Devils Foundation, and will see Salford hero Adrian Morley return to the rugby field to take on a team of Union legends lead by former England captain Mike Tindall. “I’m really looking forwards to it, obviously it’s been a while since I’ve played, but I'm sure I’ll be able to get these legs pumping again and hopefully we’ll show these Union boys a thing or two about rugby!”.